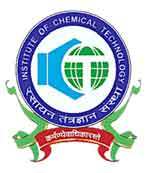 (Jobs) DAE-ICT Scientist & Ph.D. (Tech) Fellowships at Institute of Chemical Technology: 2011 | IIT PORTAL : JEE, MAIN, Engineering Exams Resources. Applications are invited from Indian nationals only for posts of DAE-ICT Scientist A/B/C, and for Ph.D. (Tech)/Ph.D. Fellowships in the areas of Chemical Engineering/Chemical Technology, Chemistry, and Mathematics. Pay Scale: These positions will attract Sixth Pay Commission pay scale as per the UGC and Government of Maharashtra rules. Qualifications: The candidate must have a Ph.D. degree in Chemical Engineering or related field with outstanding academic record and high quality research publications in international journals of repute, and a proven record of attracting funds for research from Government funding agencies and Industries. The candidates will be expected to participate in Department’s existing research and academic activities and initiate research in newer areas such as Material science, Nanotechnology, Green Engineering, Sustainable development, System Engineering, Product Engineering, Energy Engineering, etc. Master's Degree in Chemical Engineering/Metallurgical Engineering, and/or Bachelor's Degree in Chemical Engineering/Metallurgical Engineering from AICTE recognized institute with a minimum of 60% marks may apply for Ph.D. (Tech) program. Candidates may preferentially have a valid GATE score. Candidates with only Bachelors degree shall be considered for the Integrated Ph.D. degree program. Master's Degree in Science (MSc) in Chemistry/Chemical Sciences/Mathematics/Physics with more than 60% marks from recognized institution may also apply for Ph.D. program. Applications on plain paper with personal and educational details along with attested copies of all relevant certificates must be submitted to "The Vice Chancellor (c/o Prof. V. G. Gaikar), Institute of Chemical Technology, Nathalal M. Parekh Marg, Matunga, Mumbai-400 019" on or before October 21, 2011. The application envelope should be labeled as "DAE-ICT Center Ph.D.(Tech. )/ATTN: Prof. V. G. Gaikar"